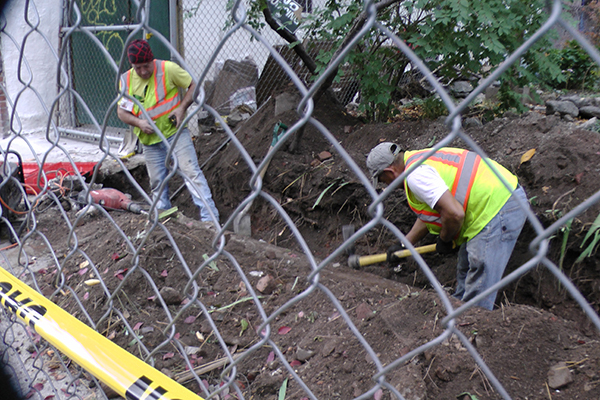 After the recent placement of the perimeter fence in front of Orchard Alley Community Garden, East 4th Streeters knew it wouldn't be long before the new fence itself would be in place! Shortly after sunrise this morning [November 2], the crew were parking their trucks, collecting their picks and shovels, and off-loading their end-loaders! Then, once safely behind the perimeter fence, the work commenced! 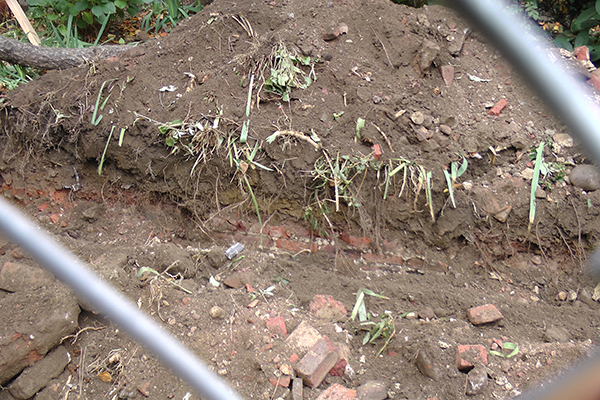 If you were thinking that it must be hard work to dig such a trench, with all these bricks in the way, you're right — but this trough wasn't dug by hand!